For RCMP Sergeant Ray Robertson, the vibrant color and sounds of Haiti hide dark secrets. Robertson is serving with the U.N.in Haiti, a land of brilliant color and vibrant life. An American businessman comes home to find his beautiful, young Haitian wife face down in the swimming pool. The Haitian police immediately arrest the gardener. But Ray isn’t so sure. 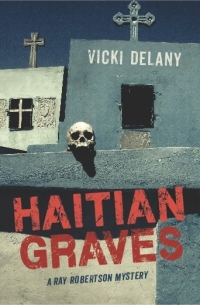 One night he finds himself in a Vodou-saturated cemetery, surrounded by above-ground tombs, confronting a killer with nothing left to lose.